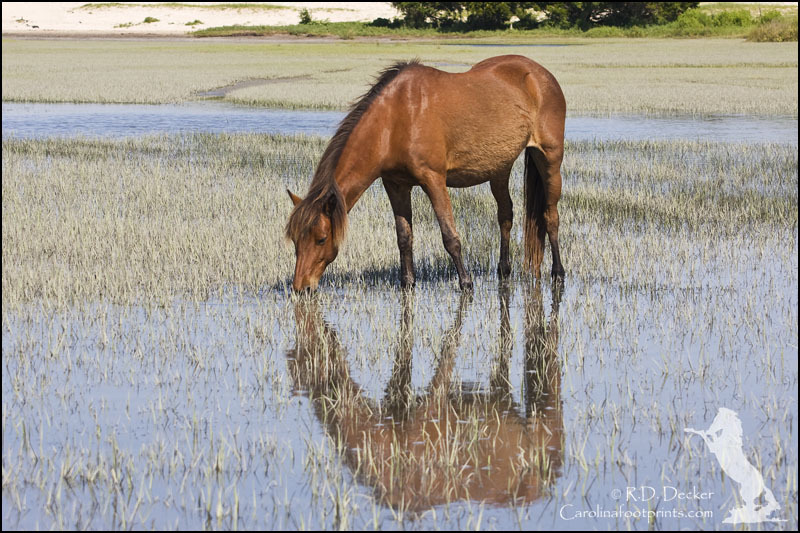 Time the tides right and catch the wild horses out on the tidal flats at the Rachel Carson Estuarine Reserve and you have the perfect opportunity to include some reflections in your composition. This location really is perfect for this technique and the visual rewards are high, or at least are in my opinion. Below are a few examples from a recent trip. 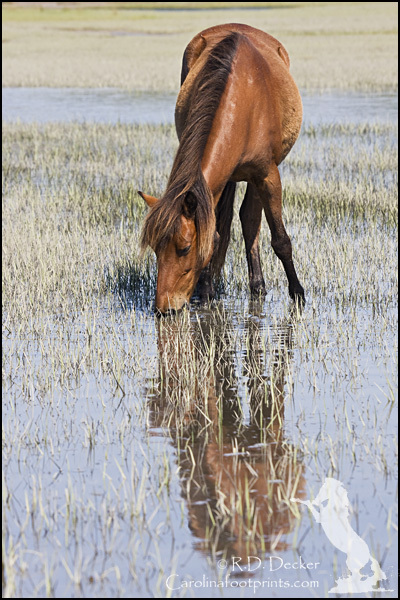 If you like what you see and you have the time this coming weekend, I do have a couple of spots open in my Wild Horses of the Crystal Coast workshop. This is one of the wonderful locations we’ll be visiting during the workshop. 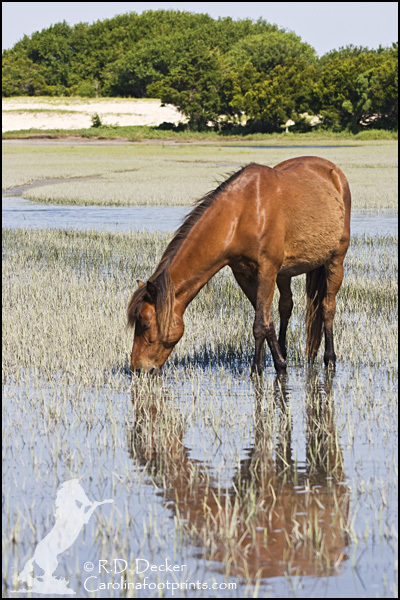 I’d love to have you join me on this, the last scheduled workshop of the summer. 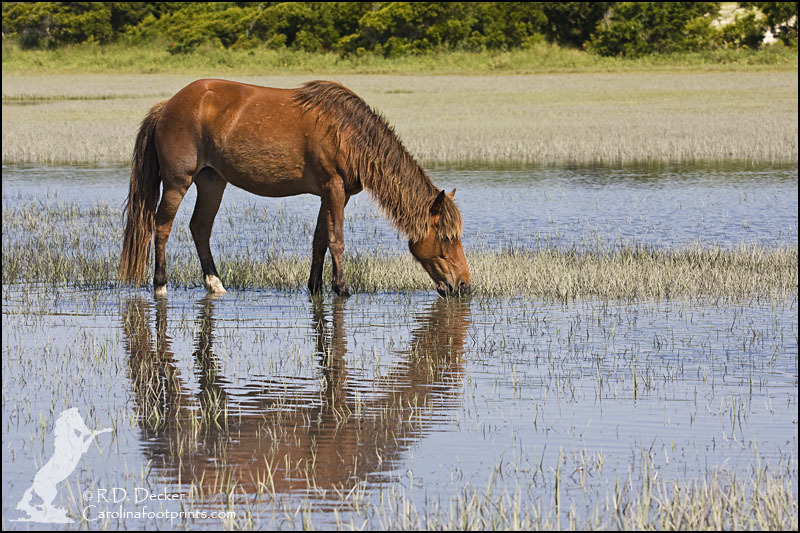 This entry was posted in Banker Horses, General Photography, Nature Photography, Photo Tip, Wildlife Photography and tagged Beaufort, Crystal Coast, Horse, Lake Mattamuskeet, Nature, North Carolina, Photography, photos, Rachel Carson Estuarine Reserve, wild horses, Wild Mustangs.